As a corner unit with an assortment of windows, Loft 401 is available and waiting for you to call it home. At a spacious 1,422 square feet, you will fall in love with the Master Bedroom and its ensuite, oversized bathroom with both a shower and tub, multiple vanity drawers, and a spacious walk-in closet with built-in, adjustable organization. 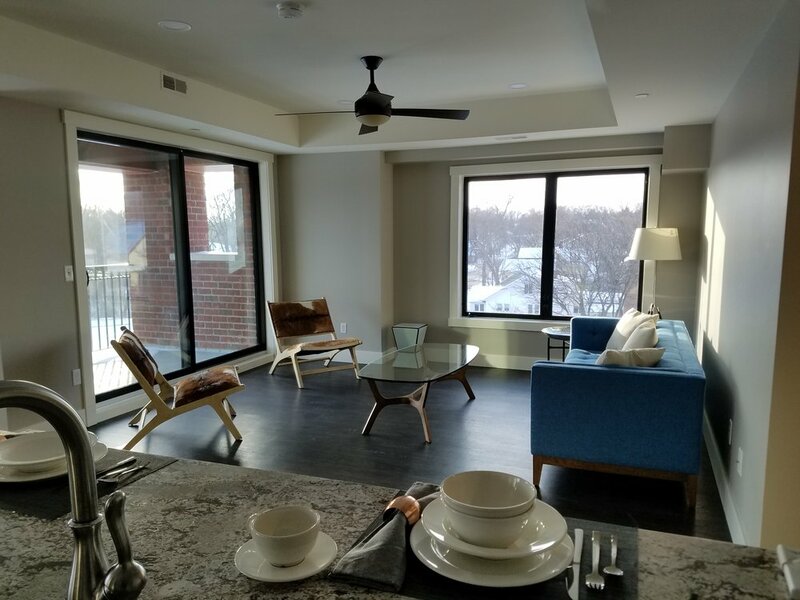 This unit also features hardwood flooring, studio kitchen with stainless steel appliances and granite counter-tops, and a large, open floor plan for the main living area. Extra spaces in this Loft include a large laundry room with side-by-side washer and dryer and an extra hallway closet ideal for use as a pantry. The veranda balcony provides a south-facing, tree line view of the Clinton River Trail and sunlight throughout the day.